Amber: What's in a name? Keiko Mecheri places a big emphasis on smoothness and subtlety and is sometimes referred to as a poetic perfumer. That seems right to me. I have not encountered too many revolutionary creations among the many perfumes of this house which I've tested but, at the same time, nearly everything is very likeable and wearable, often beautiful, albeit subtle, and indisputably made of high-quality components. 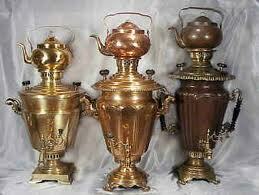 In general, you get what you'd expect from the perfumes of this house, as they often are literally named. Crystal d'Ambre is a case in point. Amber resin is well-known as the final destination of many an insect which has mistakenly stepped into the stuff and is then “trapped in amber” for the remaining short duration of its life—and forever after, since its dead little body becomes effectively petrified in what hardens to stone. 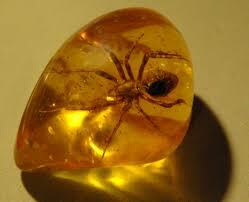 People who trade in amber stones actually highlight the poor dead insects found in some of their pieces. 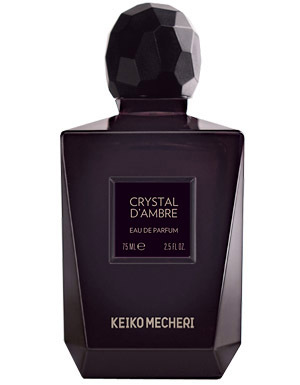 Amber in perfumery is already a metaphor, so I find it rather interesting that in Crystal d'Ambre, the amber appears to be metaphorically trapped in musk! There is a dominant musk coating enveloping the amber of this perfume. It is not a dirty musk, but it is a fairly declarative one, so anyone who has a problem with musk is probably not going to like this creation. I myself only really noticed how strong the musk here is after coming back to this perfume and testing it again a second time. In the interim, I had sampled and worn quite a few straight-up amber perfumes which are totally devoid of musk. Like many of those creations, this one, too, seems fairly linear to me. But in marked contrast to many oriental "amber" perfumes, Crystal d'Ambre really seems more like a musk perfume with only a touch of amber to give the musk some color and character. The amber is definitely detectable, but only through a layer of musk. The overall effect is analogous to looking at amber stones through some sort of thick lens or crystal, so I do think that this perfume is very well named, and I recommend it for testing by anyone who loves musk and likes amber. As is usually the case with niche houses, I find some perfumes of Parfums d'Empire very compelling and others quite a bit less so, and often that has more to do with me than with the perfumes, or so it seems. 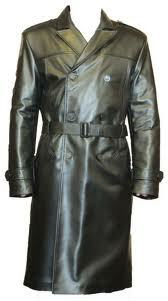 In Ambre Russe, what I find is that the "amber" is a secondary element. What is it secondary to? In what appears initially to be a wonderful case of truth in advertising by accurate naming, Russe is the key concept in play. So, what is Russian? you may well wonder. This perfume offers a tripartite answer to that question. Ambre Russe opens with a boozy "vodka", and then pulls out its oily black leather jacket and army boots before marching off to prepare a huge samovar of strongly brewed black tea. There's a lot going on here, and much of it is black, after the vodka opening, at least. 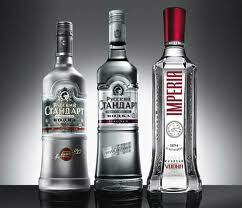 Among the notes is listed also champagne, but let's face it: splash your gentle glass of champagne with some ice-cold vodka, and it will taste like vodka. In my first encounter with this perfume, it seemed to me that the amber could not really compete with the dark demeanor of both the leather and the tea, which meant of course that this was very simply an amber-named composition probably more likely to please leather and black tea-note lovers than amber aficionados. 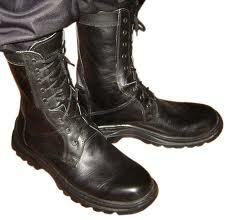 My initial take was that the amber was being somewhat smothered by the hard-hitting dark leather and tea. As I learned more, my interpretation had to be revised. Although looking at perfume notes is not always helpful, since often they include all sorts of suggestive metaphors which may or may not bear any relation to the scent produced, in this particular case, a quick glance at the notes helps a great deal to clarify the intentions of the perfumer, Marc-Antoine Corticchiato. 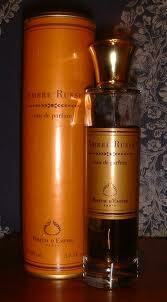 The perfume is called Ambre Russe, but the house does not claim at its website to use “amber” in the perfumery sense. Indeed, listed among the notes are none of the characteristic components—labdanum, vanillin, benzoin—constitutive of perfumic amber. Instead, the house lists ambre gris as the note which accounts for the i>Ambre in Ambre Russe. I presume that synthetic ambergris is being used here, rather than the secreted excretions of some sperm whale's intestines. My understanding is that synthetic ambergris, too, is a sort of metaphor, for it involves at least three separate substances. In any case, it should come as no surprise that this perfume smells nothing like orthodox labdanum amber perfumes, because, if anything, this is an ambergris perfume. Natural ambergris is of course an animal by-product and therefore should impart an animalic quality to the perfume, and that probably does play a role in the dark intensity I perceive. When all is said and sniffed, Ambre Russe is not a labdanum amber perfume at all, which may be a source of some disappointment to those who assumed that the ambre in the name meant that they could expect to encounter in this composition a thick labdanum amber à la Serge Lutens Ambre Sultan or Histoires de Parfums Ambre 114. Of course, many fans of labdanum amber perfumes may also love edgy black leather and strong black tea, and if you happen to be one of them, this is a perfume which you should make a special effort to test, as it may be not only your cup of tea, but also your glass of vodka!